Prince Edward Island is a strange province. It seems to be an island made of red dirt. 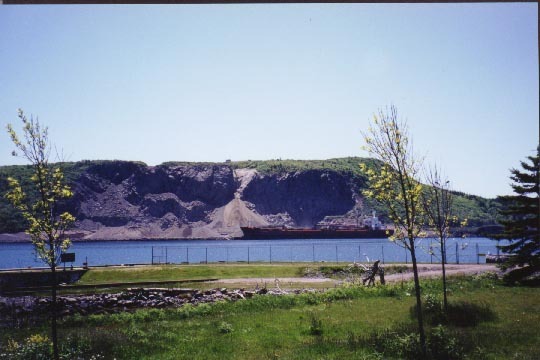 PEI has to import gravel because they don't have rocks on the island. They have some red sandstone... if you can call that a rock. Many of their roads are just a red mud. 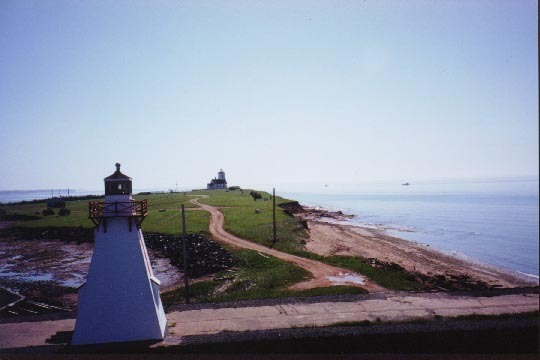 PEI is eroding away. 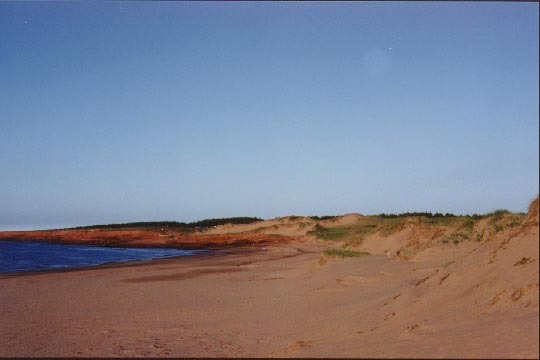 PEI is famous due to Anne of Green Gables. A lot of people flock over to see the Anne of Green Gables stuff. I've never actually read the book and all the Anne of Green Gables stuff got a little silly. 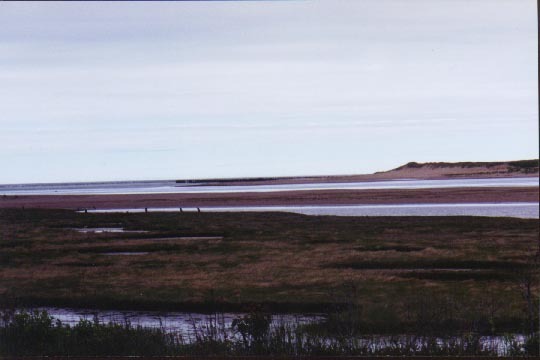 The first 3 shots are of Tracdie Bay. 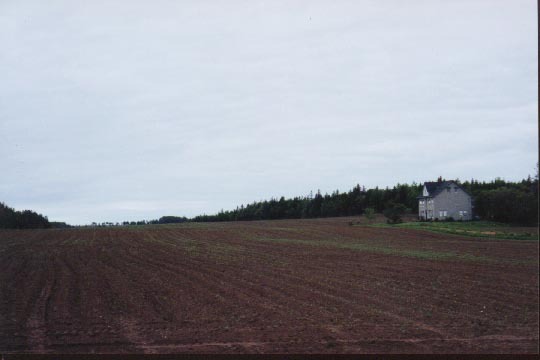 The shot doesn't show it very well, but the dirt in PEI is very red. 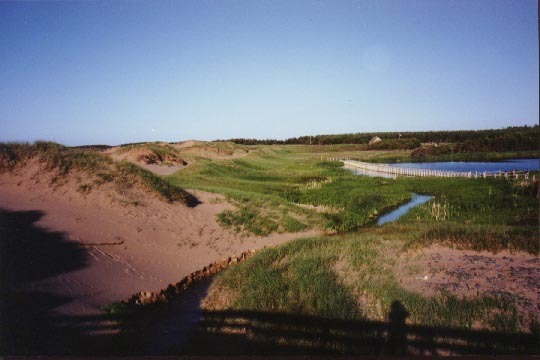 The next two shots are dune beaches at Cavendish. 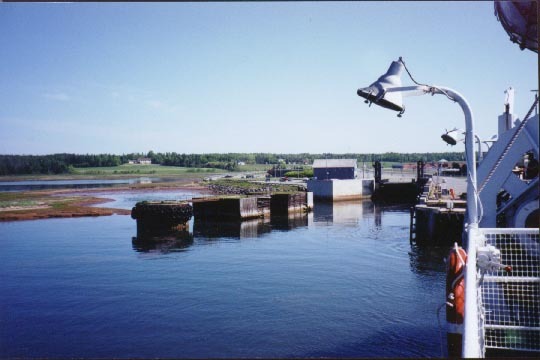 These next two shots are one the Ferry heading out of PEI. Confederation Bridge is pretty new so only until recently this was the primary mode of transportation to and from the Island. I don't have many shots of Nova Scotia. I was in Halifax which had some confusing driving. The walk around the Halifax harbour was pretty cool. 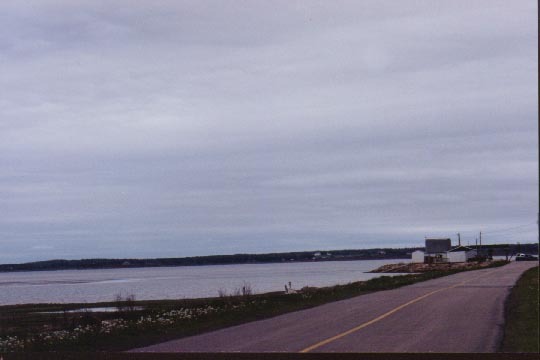 This is a shot near Cape Breton. 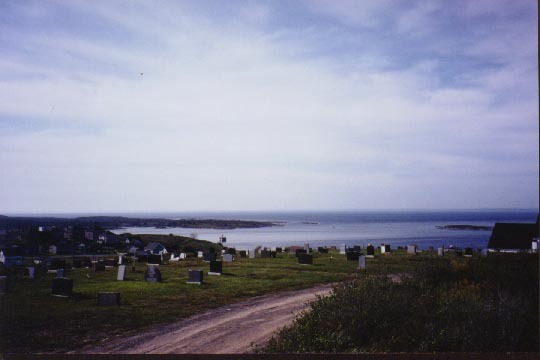 This is a shot of a graveyard at Canso. It was a real step climb to get up there, although you can't tell by the shot.